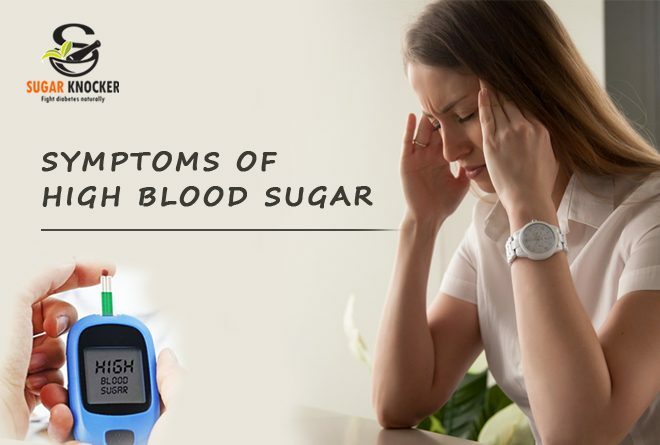 High blood sugar can lead to damage of nerves, blood vessels, internal organs and diabetics are prone to acid buildup in the blood called ketoacidosis. Though many causes of diabetes are beyond our control, some of the avoidable factors that lead to high blood sugar levels are leading a sedentary lifestyle, emotional stress, excessive intake of junk foods, or foods high in sugar, salt and fat. One point to be mainly noted is that high blood sugar can manifest itself even in non-diabetics and can be a strong precursor for diabetes onset. So, anyone who notices any of the above symptoms which can be triggered without a logical reason has to screen themselves for blood sugar levels and seek appropriate treatment – diabetic or not. Pay attention to recent changes in lifestyle like sudden drop in activity levels, constantly loading up on high calorie foods, any recent illnesses, accidents or steroid consumption for any reason or reasons for emotional distress. Though people aged 60 or above are generally considered healthy to have levels between 100 and 140 mg/dL, those below 59 years of age should be wary of their sugar levels which should be in the safe range of 80 to 120 mg/dL. Apart from the normal sugar tests, your doctor might conduct an A1C test to determine the average blood sugar levels of the past few months; and then recommend home based blood sugar monitoring. If high blood sugar is detected, the first step is to introduce a moderate or maybe even a light exercise routine to scale up the daily activity levels. The next step is to modify the meal plans to suit the body with the help of a nutritionist. Only when these don’t work the doctor may recommend seeking the help of medicines or insulin injections in more severe cases. Ayurveda has excellent remedies in managing diabetes and recent researches in the field of blood sugar management and the role of Ayurveda has opened many possibilities for those in search of better management techniques and methods. We at Sugar Knocker bring for you an excellent product which comes with the recommendations of not just the users but also those of renowned doctors who are experts in their own field. Learn about our product and be a part of the Sugar Knocker family for holistic benefits. If you are ready to take charge of Your Diabetes Management and start Regulating Blood Glucose naturally, there's never been a better time to begin! The more you wait, the more you lose!! !